Who you choose to be your Cloud provider is a critical decision that can affect the success of your business. Atlantic.Net offers great, affordable Cloud Hosting solutions (including HIPAA-compliant cloud hosting) for businesses of any size. We’re certain that after you see how we compare with Amazon AWS and the benefits we bring, like customized setup, hybrid solutions, and all-star support, that the decision will be clear. Amazon AWS provides 99.95% uptime for their storage platform. 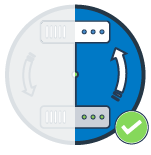 Atlantic.Net offers High Availability, backed by a 100% Uptime Guarantee. Amazon AWS has several security products, such as a hosted Active Directory, AWS Identity Management, AWS Certificate Manager, and AWS CloudHSM. Atlantic.Net offers Robust Managed Personalized Security Solutions to make sure your data is always safe, including Managed Firewall, Managed Intrusion Prevention System, Trend Micro Deep Security, and Multifactor Authentication. Amazon AWS only provides a few hybrid solutions, including Storage Gateway, DynamoDB Local, and OpsWorks. Dedicated virtualization or secondary dedicated hosting platform combined with an existing solution. 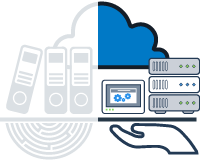 Virtualization or Cloud Hosting Solutions combined with existing computing solutions or secondary Cloud Hosting platform build in parallel to an existing Cloud. 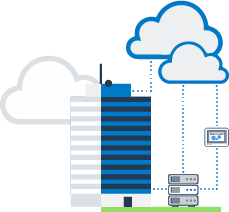 Combined on-site and off-site private virtualization or private and public Cloud. Amazon AWS is a self-service platform where the client must take care of migrating their data and figuring out what plan to choose. 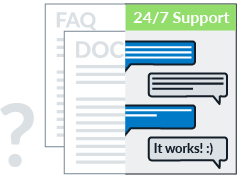 Support is usually automated and only premium accounts get fast human support. The Atlantic.Net support team helps clients choose hosting plans that fit their needs and will help migrate sites, stores, and applications. Atlantic.Net also offers Customized Services for Small and Medium Businesses. Amazon AWS does not offer proactive management of your servers and OS. AWS clients will have to hire third-party service providers, which will impact cost. Atlantic.Net proactively manages your hosting solutions, making sure your servers and OS are always available, secure, and up-to-date. The company also provides Full Management of Complex Hosting Environments. Amazon AWS is highly configurable and has a large number of complicated features requiring an onerous initial learning curve. The Atlantic.Net support team provides a White Glove Service and Customized Setup on every system, including physical to virtual migrations, data transfers, database migrations, and more! Amazon AWS only provides snapshot backups while file-level restores are only offered through third-party partners. 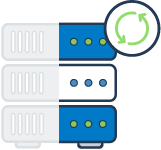 Atlantic.Net provides both a snapshot-level backup system and a separate block-level, 30-day backup that allows for Full Bare Metal Restores. Individual files can also be restored directly back to the server, if required, removing the need to restore a complete server. Amazon AWS has only been around since 2006 and is a public company. Atlantic.Net is a privately held company, which has been offering hosting services since 1994. Sign up for your own Atlantic.Net Cloud Hosting account today, and get started on the right path to making your business run smoother and more efficient. Interesting in Managed Cloud Hosting? Contact our Sales team today, and we will work with you to provide the Managed Cloud Hosting solution that’s perfect for your business!